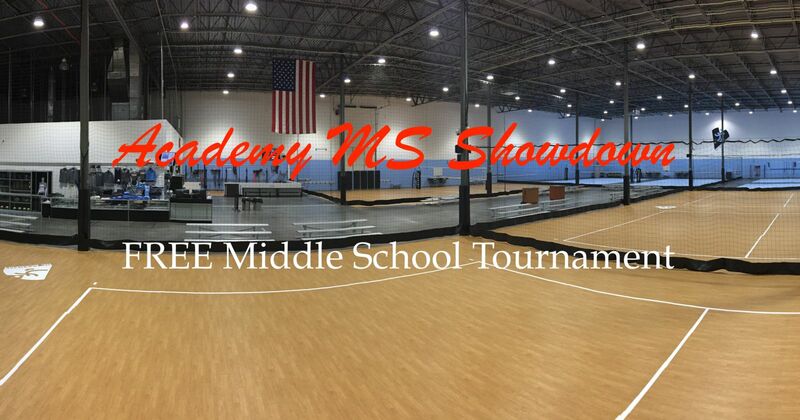 Middle School Showdown is established to exclusively prepare middle school players/teams for the upcoming middle school volleyball season. Date/Time Sept. 22 (Sat. ), 2018 start time 9AM; Coach's meeting @ 830A. Doors open @ 8AM. Players/Teams • 6-8th graders form your own teams and register in advance. • Wake County Public School System does not allow team participation but groups of players from their school teams can participate with an adult coach. • If an athelte does not have a team but wants to participate, she can register individually and may be placed on a team. • At least 7 players per team. Format Varsity/JV pool play followed by bracket play. Guaranteed 3 matches. Medals for finalists.